#BringBackOurGirls Update – the ajayi effect. I guess Alicia Keys is more influential than we all thought. Less than a week after she and her hubby Swizz Beatz held a protest in New York City to raise awareness for the cause on the six month anniversary of the abductions, the girls are being let go. According to BBC News, Nigeria’s military says it has agreed a ceasefire with Islamist militants Boko Haram – and that the schoolgirls the group has abducted will be released. Nigeria’s chief of defence staff, Alex Badeh, announced the truce. And, at the time of this post, Boko Haram has not made a public statement. The group has been fighting an insurgency since 2009, with some 2,000 civilians reportedly killed this year. 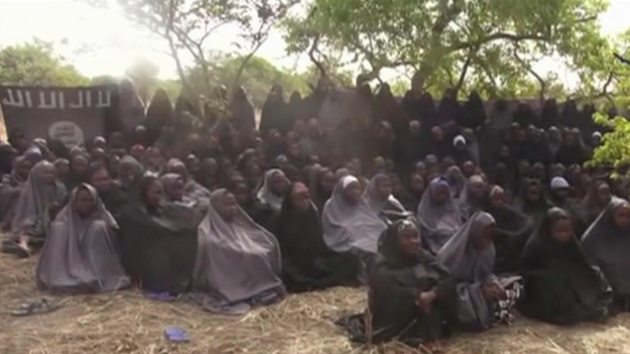 Boko Haram sparked global outrage six months ago by abducting more than 200 schoolgirls. Some of the schoolgirls Boko Haram kidnapped in mid-April. Air Chief Marshal Badeh revealed the truce at the close of a three-day security meeting between Nigeria and Cameroon. He said Nigerian soldiers would comply with the agreement. As part of the talks, a government delegation twice met representatives of the Islamist group. The negotiations are said to have the blessing of Boko Haram leader Abubakar Shekau, reports the BBC’s Chris Ewokor in Abuja. The BBC article further details that Boko Haram would not be given territory under the ceasefire agreement – and that the government would not reveal what concessions it would make. Many Nigerians are extremely sceptical about the announcement, especially as there has been no definitive word from the jihadists.